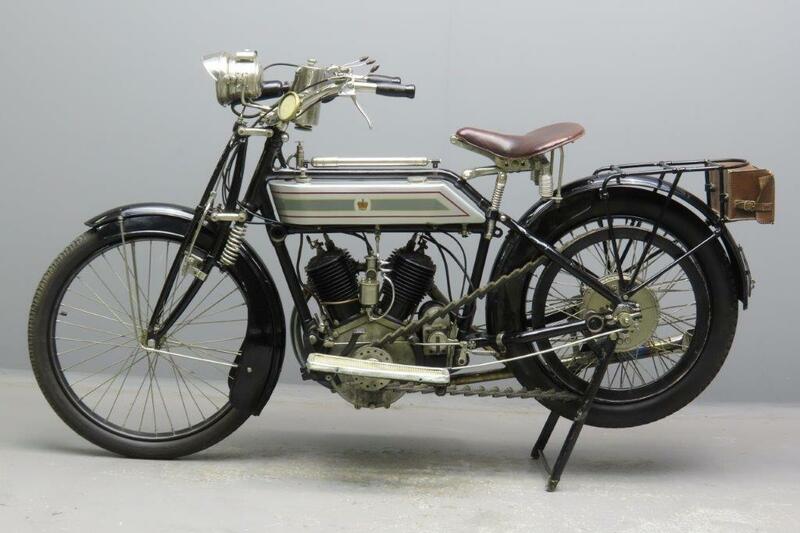 Rex was one of the first and foremost manufacturers of motorcycles in Britain. 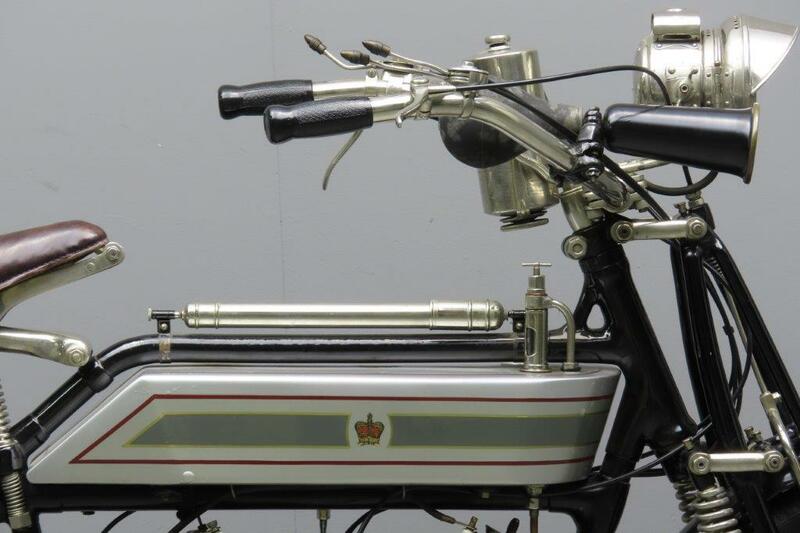 Their advertising slogan read “ The King of British motors”, and the firm was a true market leader in design and development. 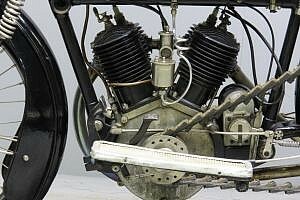 From 1902 the engine was positioned vertically in the frame, and all parts were made – so claimed the makers- at their own works. At the 1904 Show no less than 50 Rex machines were on display! In 1905 a mechanical exhaust valve was adopted and a Longuemare spray carburettor replaced the surface device. A full two year guarantee on every Rex showed the confidence the makers had in their products. 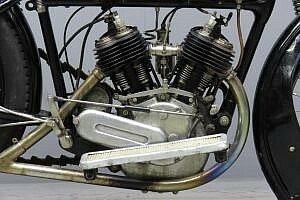 In the same year a V- twin model was marketed and a year later a unique spring fork was added. Harold Williams (sales manager) and his brother Billy (managing director) had been with Rex from the early years and their advertising talents and salesmanship had made a profound effect on the company’s success. 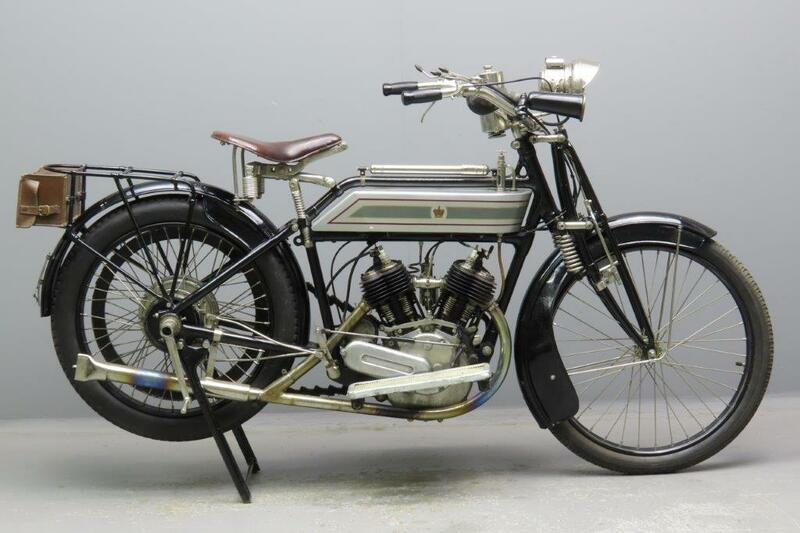 In 1910 the brothers both left the firm after a boardroom row and with them went a lot of the company’s prestige. 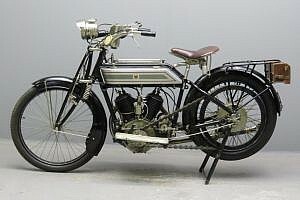 Billy Williams developed his own brand of motorcycle, the Williamson, powered by a specially made water-cooled Douglas flat twin. Rex production soldiered on till the outbreak of World War one. After the war Rex had a few very difficult years till the company amalgamated with the Acme firm. The Rex-Acme machines soon became famous in races. In 1933 production stopped. 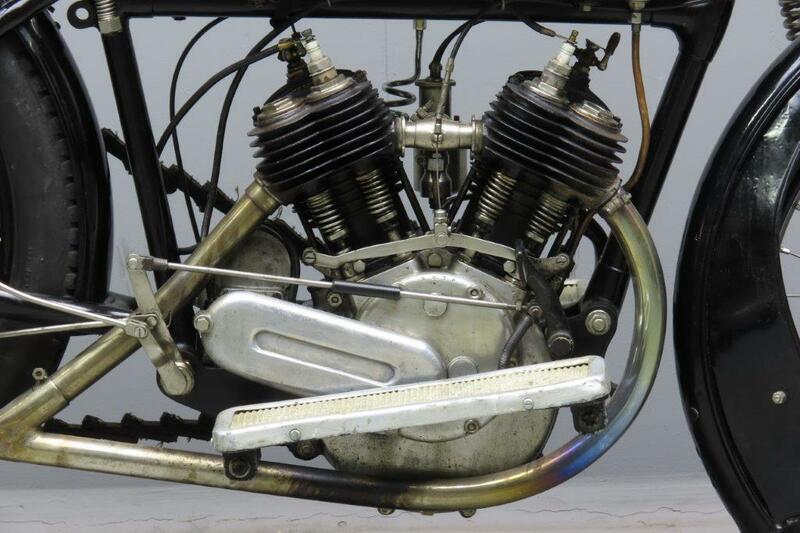 Detailed information about veteran Rexes can be found in Jamie Dee’s articles on the make in “Old Bike” magazines issues 9 & 10. 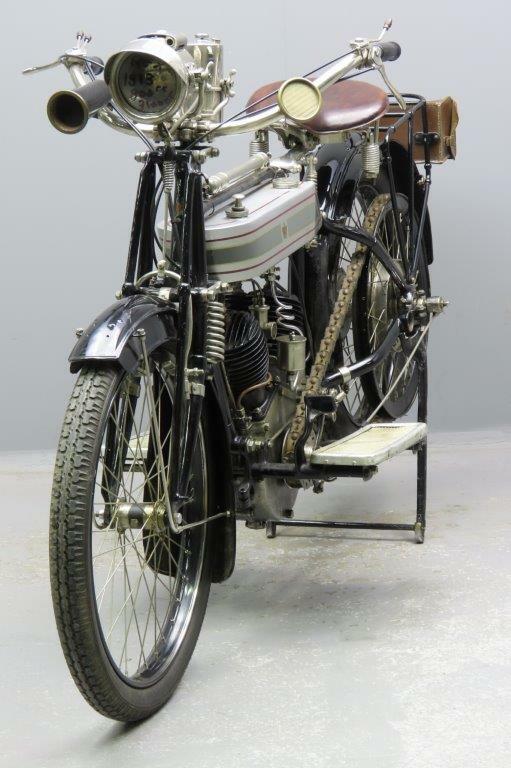 This machine is fitted with belt drive to the rear wheel in which a 2 speed ROC type gear and clutch are housed. 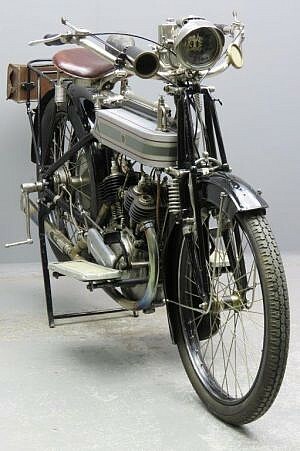 Note the comfortable cantilever seat on this compactly built veteran Rex. A foot pedal on the left gives choice between low speed, high speed or neutral. Starting is by a separate hand lever at the right side of the rear wheel. This well-restored machine comes complete with Lucas acetylene lighting and bulb horn.